We are offering CNC Turned Components to our clients. We are offering Broached Machined Components to our clients. We are offering Precision Sheet Metal Components to our clients. We are offering Sheet Metal Pressed Components to our clients. 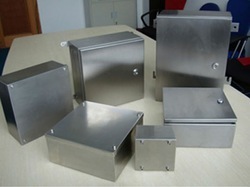 We are offering Sheet Metal Small Boxes to our clients. 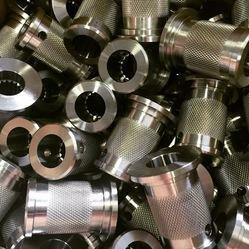 We are offering VMC Machined Components to our clients. 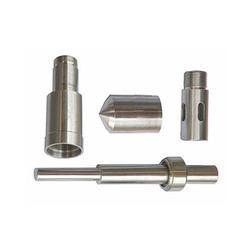 Our organization is the well known manufacturer and supplier of an extensive range of Precision Turned Components. 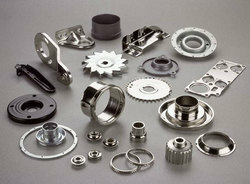 Made from best quality raw material, these components offer optimum performance and have high resistance to corrosion. We are supported by industry’s best professionals, who are dedicated towards their work and manufacture these products with precision. Owing to their unmatched quality, our CNC precision turned components are widely used in automobile and allied industries. 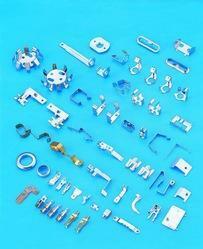 We are offering CNC Precision Parts to our clients. 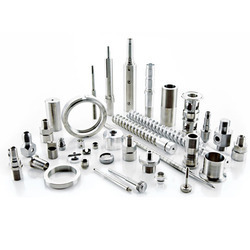 Established in the year 1992, we “Shkomin Services”, are counted among the invincible manufacturers, suppliers, and exporters of a commendable range of Precision Machined Components. 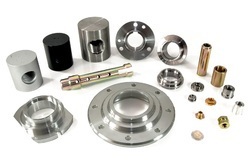 Under this range, we are providing our clients with CNC Turned Components, Broached Machined Components and Sheet Metal Components. The entire range is manufactured utilizing optimum-grade metals and basic materials that are sourced from the reliable vendors of the industry. Before final dispatch, these components are checked properly to ensure flawlessness. The Middle East and Africa are our exporting countries. We always focus on the quality of the products and in the regard of same, we have developed a total quality management system at our premises. Taken care by our team of professionals, the quality of our offered products never deteriorates. These professionals are responsible for carrying out the production process in an efficient manner. Owing to our team of logistic personnel, we have been able to dispatch our range in committed time-period to the customers' premises. We have worked with marquee customers like ABB, Jyoti Switchgear and leading switchgear companies in Kuwait and other countries. Krishna Engineering, our group company, based out of GIDC Savli, Baroda in Gujarat has strong capabilities in the area of fabrication and assembly works for the transformer, power, general engg. and other industries.